The coffees from Kenya are renowned for their unique fruit character, intense acidity, rich body and constant cleanliness with many factors contributing to these great qualities in the cup. From Kenya’s location, right along the equator, to uncommon varietals and exceptional growing conditions, Kenya is perfectly suited to growing great quality Arabica coffees. Amongst these factors, processing is possibly the least appreciated by outsiders, but fortunately, the growers of coffee in Kenya still treat this important step with an unparalleled degree of precision and care. The coffees of Kenya are almost universally processed using a method called ‘double fermentation’, which is a variation of the washed processing method. It’s used almost exclusively nationwide, and is considered best practice by most farmers. And given the results, who can question them? 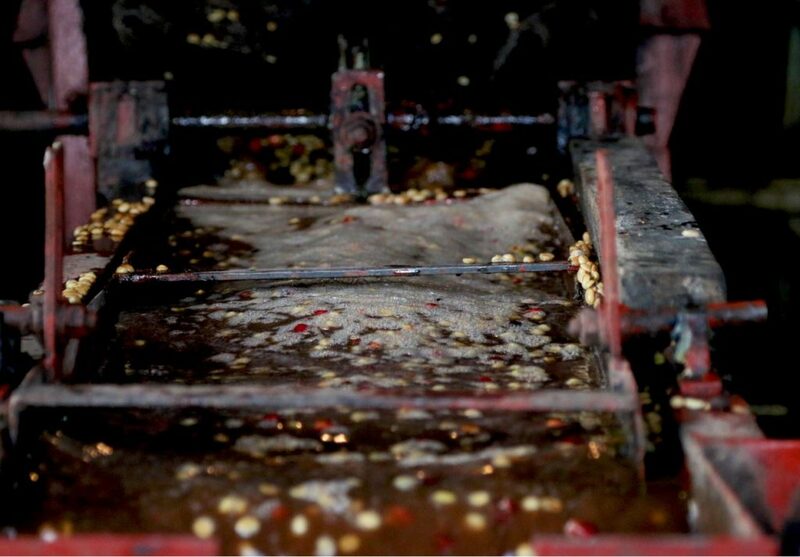 In the double fermentation processing method, farmers de-pulp the cherries immediately after harvest and place the mucilage coated seeds in fermentation tanks, with minimal water contact, for 12 to 24 hours depending on the rate of fermentation. The fermentation helps to break down the mucilage making it easier to remove, but also helps to develop the mucilage’s latent fruit character, imparting some of that character into the coffee seed. In this first stage, the fermentation is allowed to continue until a large portion of the mucilage starts to separate from the seed. 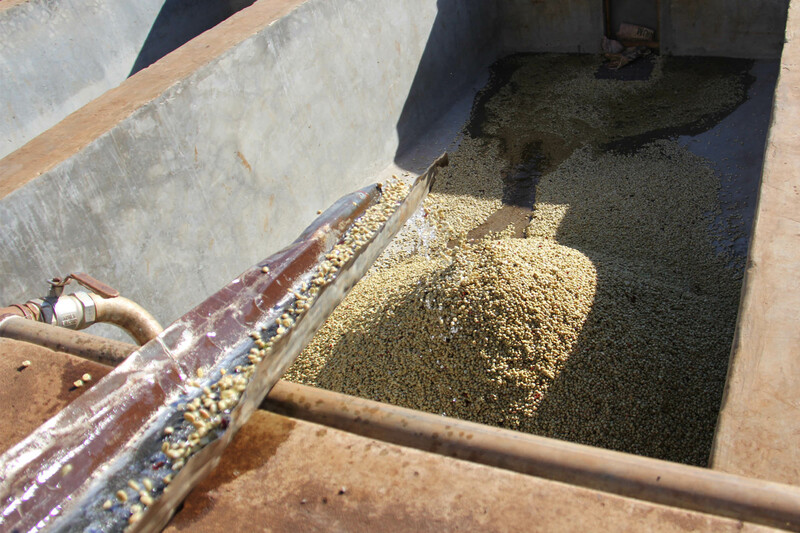 The coffee is the flushed from the tanks, into water channels where the agitation helps to rinse and remove the loose mucilage, stopping the fermenting process. 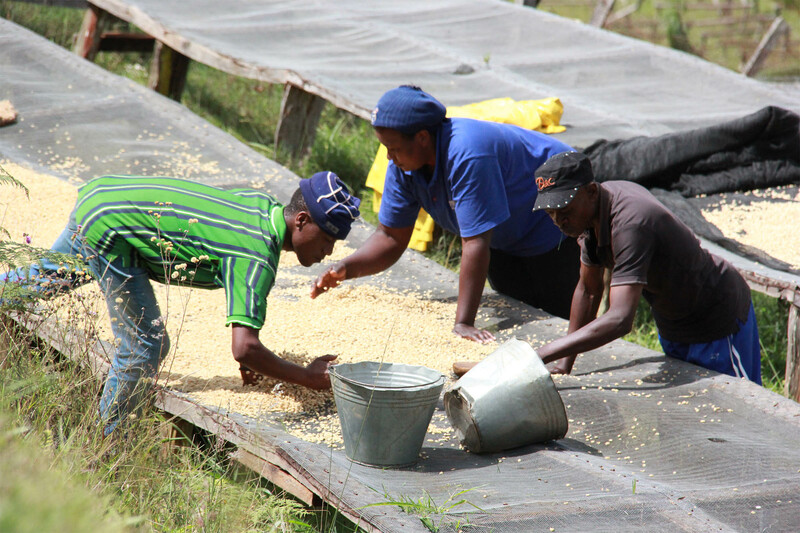 Seeds that are low density ‘floaters’ are also scooped off at this stage of the process, one of many steps ensuring the consistent high quality of Kenyan coffee. After the coffee has been cleaned, step one is repeated, soaking in a secondary fermentation tank for another 12 to 24 hours. This will restart the fermenting process but this time with less sugar and fruit material available. When this second stage is up, the coffee is once again run through water channels where any final residual mucilage is removed. All coffee within Kenya is sorted by screen size with specialty coffee often found in the largest screen sizes, AA and AB, along with Peaberrys (PB). AA’s typically are associated with higher prices with the theory that the seed has received more nutrients from the parent plant, developing not only size but also sugars and organic acids. There are a few other screen sizes in addition to the three listed above, but these other sizes rarely make specialty grade. 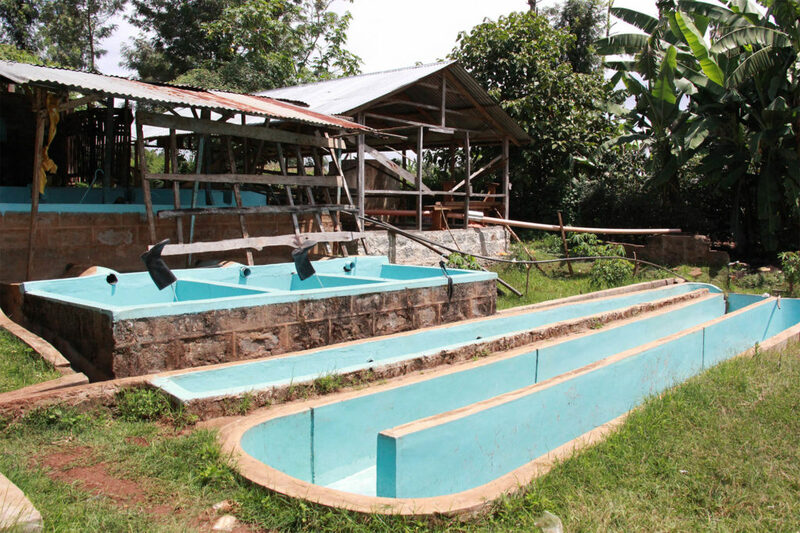 Once the coffee has been separated, the various lots are moved into their own water tanks where the coffees are soaked for an additional 24 hours. Since the mucilage is has been completely removed, and the coffee is soaking in significantly more water, it’s assumed that enzymatic activity in the coffee increases in this soaking tank, resulting in a strengthening of the amino acids and proteins present in the coffees. The soaked seeds are then taken out and placed on raised drying beds and spread to a depth of a couple of inches. The idea is to initially dry the coffee rapidly to drop the moisture content and reduce risk. After this initial fast drying period, the coffee is heaped into 6 inch deep mounds and moves into a longer, slower stretch of drying to encourage longer term green quality stabily. Time on the raised beds can vary greatly dependant on temperature and weather but the coffee needs to be constantly turned during this period to achieve even drying. Once the moisture of the coffee reaches around 11-12%, this essentially concludes the processing of Kenyan coffee. They’re finally dry hulled, graded and prepped for export. While this double ferment processing method used across Kenya is fairly labour intensive and requires a heavy water and resource usage, we’re thankful that it’s so consistently followed as we believe that it’s one of the key influences in the spectacular coffee that the country manages to produce year after year. Want to try Double Fermentation process coffees? Grab a bag of the Mwendi Wega from Kenya!